Time to talk about the slick way in which Real Madrid took Vinicius Junior away from a far greater FC Barcelona offer, their revenge over Neymar. Now that Vinicius is coming to Camp Nou to play El Clasico against FC Barcelona in a few hours, it’s time to talk about how Real Madrid beat the Catalan club to the punch when both clubs came after the Flamengo product. 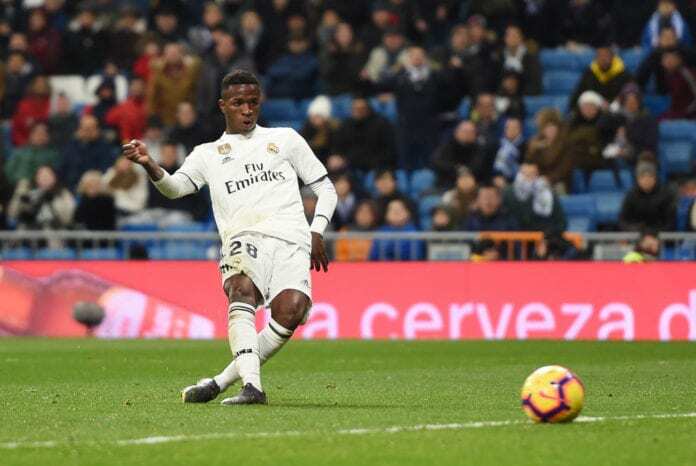 There is a rumour rolling around the Spanish press (specifically from Barcelona), about Vinicius choosing Real Madrid over any other club for the paycheck he was offered when he first decided to play for Los Blancos. But all those rumours are not true, Vinicius was actually offered a much better salary with the Catalan club when negotiations were still ongoing and he simply decided to play for the project that convinced him the most. FC Barcelona was also after the young Brazilian talent, they even knew that he would become one of the world’s most precocious stars and they didn’t want to miss out on him. This is the reason they decided to offer the Brazilian a much higher paycheck than Los Blancos were offering, plus a similar transfer fee to Flamengo. But the club from the capital was smarter and slicker than Barça, they offered Vinicius something that they weren’t able to deliver right now. The way in which the whole experience with Neymar unfolded a few years ago was a very important learning experience from Florentino Perez, he wasn’t willing to let another young start slip through his fingers and he was willing to offer anything necessary to keep him in the club. When the president decided to send his envoys to Rio de Janeiro for negotiations, the cards in the table convinced Vinicius and his family that Real Madrid was the perfect club to make his whole career at. Agent Frederico Peña spoke to Globoesporte as quoted by Diario AS about how things went down: “FC Barcelona economical offer as far as Vinicius’ wage was concerned, was way bigger than Real Madrid’s,” said the agent. Sporting director Fredi Bobic confessed that keeping Luka Jovic at Eintracht Frankfurt will be a tough task as there is a "real possibility" that Real Madrid will come calling. For a club like Barcelona as they still have Leo Messi in their ranks, it becomes nearly impossible to promise more playing minutes like Real Madrid did with Vinicius and the player quickly understood that. The Brazilian trusted Florentino Perez to stay true to his word and things have worked out perfectly so far, Vinicius already is one of Real Madrid’s most important players and his first season isn’t even over yet. This Wednesday, Vinicius Junior travels to Camp Nou to play for the first time in the starting XI with the conviction that he is one of the biggest hopes Los Blancos have to defeat the Catalan club at their own stadium. 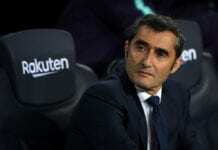 Real Madrid also comes to Camp Nou knowing that they have finally gotten their revenge for the time Barcelona beat them to the punch with Neymar, Vinicius might even be a better player than the PSG star was in La Liga because his style of football is not as risky as Brazil’s number ’10’. ‘Vinny’ knows that he can’t be going around taunting defenders because they might injure him without breaking a sweat, Neymar has already confirmed repeatedly how dangerous that is. How much success will Vinicius have as a Real Madrid player throughout his whole career? Please share your opinion in the comment section down below.